Beautiful and spacious 4 bd. single story in Green Valley Ranch. Custom cabinets in kitchen with pull out shelves in pantry and lower cabinets. Custom oak sliding glass doors lead you out into a large backyard with full landscaping and a large pool and in ground spa. Master bedroom with sitting area and master bath with walk in shower and separate Jacuzzi brand jetted tub. Built in surround sound in family room. Welcome Home! This beautifully updated two-story in coveted Green Valley Ranch gated community will impress. Near the District, parks, 215. Coronado/Bob Miller/Vanderberg schools. Dramatic vaulted ceiling entry. Plantation shutters throughout. HUGE master w mountain/partial strip views + wow-factor W/I closet. 1st flr guest bed w en suite. Grand office. Entertainer x2019;s dream kitchen w granite + s/s. xA0; xA0;Relaxing yard w gazebo, pool, views. Won x2019;t last! Stunning single-story home located in the heart of Green Valley nestled in one of the most sought after communities. Kitchen is perfectly paired with granite countertops, upgraded cherry cabinets, and stainless steel appliances. Master bed and bath adds a spa like ambience. Custom salt water pool is perfect for entertaining. Wood blinds, two tone paint, tile flooring, upgraded baseboards adds a finishing touch to this beautiful home. Location, location, location! Desirable single story in a gated community. Walk to the District at GVR, shopping, parks and more. Open concept floor plan with high ceilings, granite countertops and 4 bedrooms. Master retreat is separate from others with newly renovated en suite. Large soaking tub, step in shower and double sinks. 2nd bathroom has newly renovated large step in shower, separate water closet and double sinks. 2-Story SPACIOUS 6 Bedroom HOME with Pool & Spa in Desirable Altezza Estates in Green Valley Ranch. (5 Bedrooms + Den/Office). There is Den/Office + Shower/Sink/Toilet (3/4 Bath) Downstairs and Master + 4 more bedrooms upstairs. Bedroom #5 has en-suite bathroom & Walk-in Closet. Gorgeous GV Ranch 4br+den w/full bath downstairs! Dramatic vaulted ceilings, crown moulding & plantation shutters throughout. Great room design w/kitchen open to family room, fireplace. Gourmet kitchen w/granite counters, island, w/i pantry & stainless steel appliances. Amazing oversized master suite w/balcony, HUGE w/i closet, spa-like bath w/dual vanities, spa tub & sep shower. Lush green private yard w/ pool/spa & built-in BBQ. Move-in ready!! Beautiful corner lot home in small gated community in IDEAL GV Ranch location! Warm granite counters invite you into gourmet kitchen. Tranquil, covered, landscaped rear patio, sparkling pool and built-in BBQ = instant resort getaway in your own backyard. Spacious light-filled floor plan. Quick to 215; short walk to parks, The District, Henderson Pavilion, Recreation Center. MUST SEE! 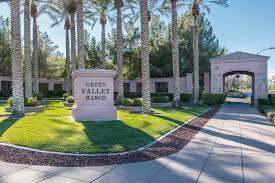 Located in the heart of Green Valley Ranch, in gated Pacific Images. Beautifully landscaped oasis with sparkling pool. Open floor plan features vaulted ceilings, wood shutters, crown molding. Huge master with 2 walk in closets with built -in closet organizers. 3/4 bath down leads to out side and 1st level bedroom. Bedrooms 3 & 4 share a Jack & Jill bath. Bedroom #5 features own bath. Fresh paint in & out. True pride of ownership, move in ready.